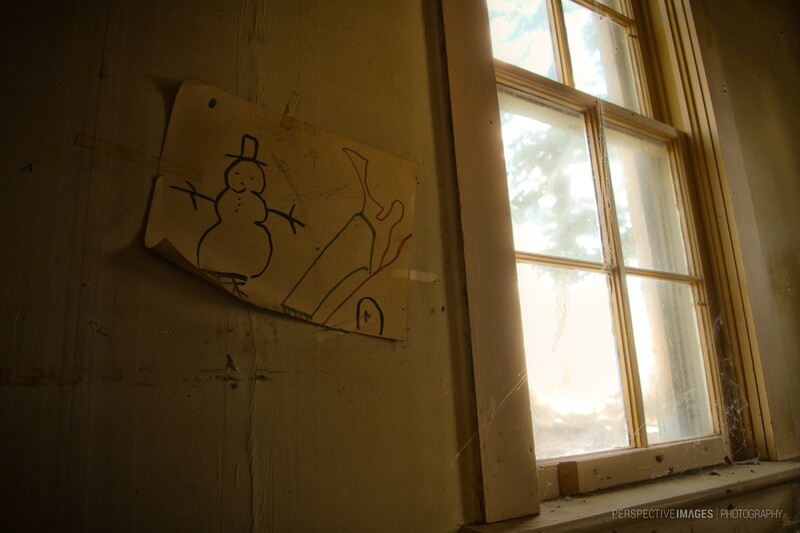 A child’s drawing of a snowman clings to wall by a dust covered window at an abandoned mountain home. How do you know it is a snowman and not a “snowwoman”? How do you know it was a child who did the drawing? I do drawings like this … I am a child? Excellent light control. Perfectly harmonious. Awww that is kind of sad even. Great image capturing lots of feelings. Someday, someone took the time to get out the sticky tape and put this on the wall. Now it’s just a distant memory. I struggled with the post production of this image. I also felt there was a deep story behind this drawings placement and I couldn’t quite get the atmosphere I felt at the location right in the image but I wanted to share it regardless.